What Knee Braces do NBA Players Wear? Whether you are sitting court side or couch side, you have most likely seen a basketball player sporting a knee brace. In fact, seeing a basketball player without a knee brace on is a rare occurrence, and it’s not for the sake of fashion. Knee braces work to stabilize the knee, prevent common basketball injuries, soothe current injuries, and ultimately keep players strong, confident, and in the game. Watch any basketball game. Within minutes, you will see how explosive players are in their movements. Whether it is pivoting around the paint or landing from a rebound, players put 100 percent into every move. This means that 100 percent exertion is also being placed on their knees. When searching for knee braces, NBA players and their trainers search for knee braces that will allow them full range of motion, reduce pain and swelling, and provide stability to soothe current joint agitations and prevent new injuries from happening. Because of this, more and more NBA players are choosing Baurfeind GenuTrain NBA Knee Brace. Bauerfeind's official brand ambassador and Dallas Mavericks' power forward and 13-time NBA All-Star Dirk Nowitzki is one noted fan of Bauerfeind. The Active knit® material of the knee brace is lightweight, breathable and moisture-wicking for maximum comfort. 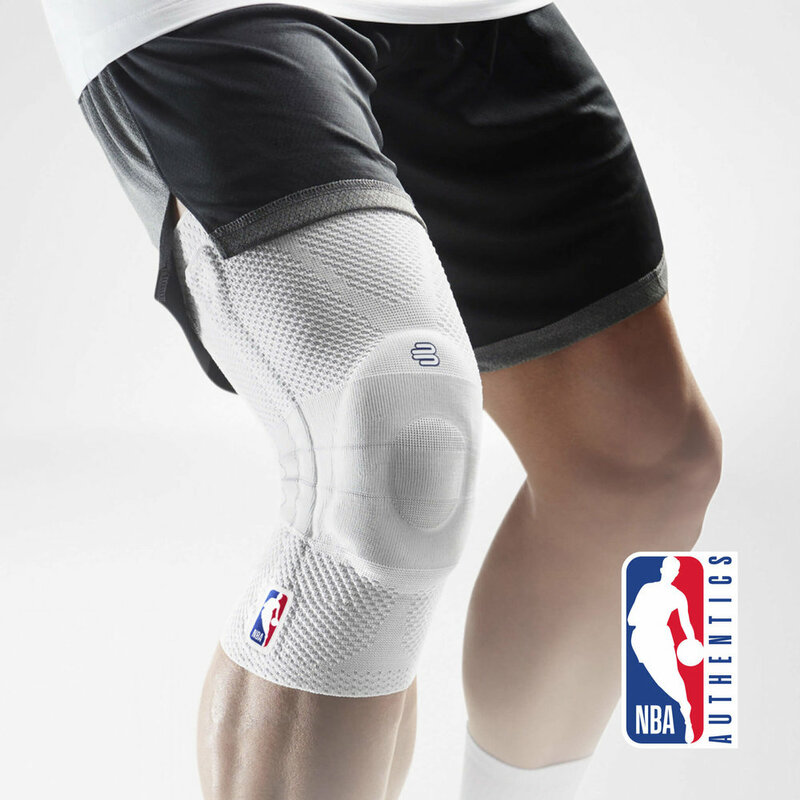 By providing basketball players with injury-preventing and soothing benefits, it is easy to see why Bauerfeind’s GenuTrain NBA Knee Brace is the knee brace of choice among NBA athletes.